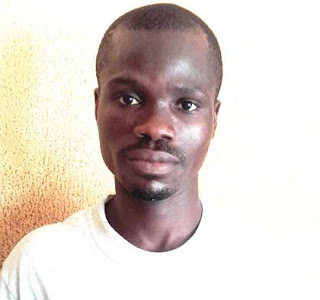 A 24-year-old security guard who sexually molested his employer’s daughter has been arrested and detained by the Lagos State Police Command. The guard, Ossai Sylvester, assaulted the 10-year-old unnamed girl in the Victoria Island area of the state on Saturday. Sylvester had also inserted his finger into the private parts of the victim and was sucking her breast before his employer caught him and reported to the police. He was, however, arrested on Monday by the Victoria Island Police Division. PPRO, SP Dolapo Badmos, said Sylvester was employed to guard a private apartment on Teslim Elias Close. “The incident happened at about 11.30pm on Saturday. The guard allegedly lured the girl to a secluded spot in the house and sucked her breast. He also dipped his left finger into her private parts. “The matter was reported and the suspect has been arrested. The victim has been taken for a medical examination. “He has confessed to the crime. “The Commissioner of Police, Fatai Owoseni, has directed that the case be transferred to the gender unit at the state command headquarters for further investigation. “He will face the law when investigations are completed,” the PPRO added.